Christian Pulisic highlights Team USA's roster to face Chile on Tuesday night at BBVA Compass Stadium. Courtesy: Nike, Inc. This week's international fixtures continue with a local connection to the action as the U.S. Men's National Team is set to host reigning South American Champion Chile at BBVA Compass Stadium. It will be the fourth match, and toughest test yet, for Manager Gregg Berhalter since being appointed to the position back in December. Team USA is 3-0-0 under Berhalter after defeating Ecuador, 1-0, in a friendly last Friday in Orlando. The current roster includes 15 players who ply their trade domestically in Major League Soccer and is headlined by 20-year-old Bundesliga star Christian Pulisic, who will join Premier League club Chelsea this summer after a $73 million move. Tickets still remain for tonight's match with just over half of the stadium expected to be full. 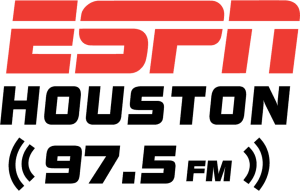 Attendance has been an issue for the USMNT following their failure to qualify to the last year's FIFA World Cup, but the Harris County - Houston Sports Authority will be hoping to attract as big a crowd as possible in their efforts for Houston to be a 2026 FIFA World Cup host city. Among some of the other international friendlies that stood out where Venezuela's 3-1 victory over Argentina in Madrid, Spain. Despite it being an exhibition, much of the headlines after would be about Lionel Messi's window to win a championship with his home country. The FC Barcelona star left the national team after that match as an injury precaution. Among those that featured where also Atlanta United teammates Gonzalo Martinez (Argentina) and Josef Martinez (Venezuela), the latter scoring the final goal of the game via a penalty. Mexico began life with their new coach Gerardo Martino with a 3-1 win over Chile in San Diego, California. The win provided many talking points and positives for El Tri as they, like the United States, prepare for this summer's Concacaf Gold Cup. Mexico hosts Paraguay on Tuesday night in Santa Clara, California. Panama tied Brazil 1-1 in Portugal where former Houston Dynamo Adolfo Machado scored for the Central Americans in their historic draw with the five-time FIFA World Cup champs. One of the bigger international tournaments besides the FIFA World Cup is the European Championship. The 2020 edition, to be disputed across 12 European countries to celebrate the 60th anniversary of the competition, is undergoing it's qualification stage. One of the thrillers this week has been Germany's 3-2 win at rival Netherlands. France, the current World Champion, continues to look strong as they demolish their competition. A local tie to the Euro 2020 qualifiers exists as Houston Dynamo defender Aljaz "Kiki" Struna started in both of Slovenia's matches this week, the two results ending in 1-1 draws to Israel and Macedonia. For the defending European Champions Portugal, Cristiano Ronaldo suffered an injury that saw him leave their 1-1 draw with Serbia. Overlapping to club competition, many wonder how big of a hit this could be for Juventus in their aim to win the UEFA Champions League. All the participants in this summer's Concacaf Gold Cup are now confirmed after action wrapped up in the Nations League tournament. Houston Dynamo midfielder Darwin Ceren was one of the players involved in pivotal matches as he started and helped El Salvador win 2-0 over Jamaica.